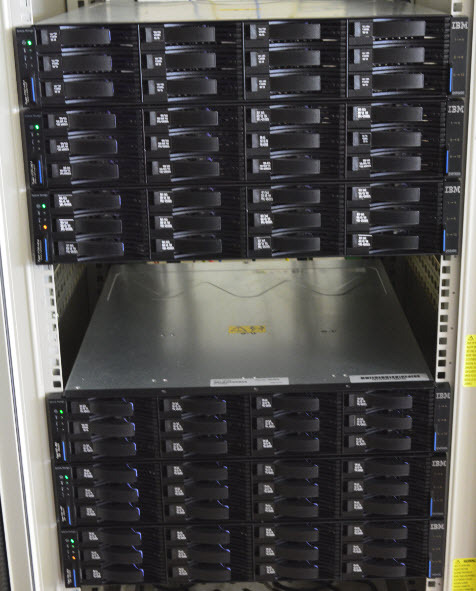 Complimenting the ICCLab cloud computing lab, the InIT operates and runs 2 BladeCenter infrastructure environments, based on IBM Blade-server technology. 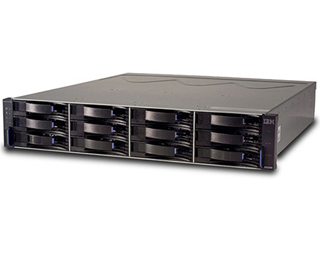 The systems consist of IBM Blade servers, corresponding BladeCenter chassis and are connected to IBM SAN storage networks that are linked via fiberoptic switches to deliver a maximum of flexibility and performance for each environment. Both environments can be operated and run independent from each other, at different physical locations. 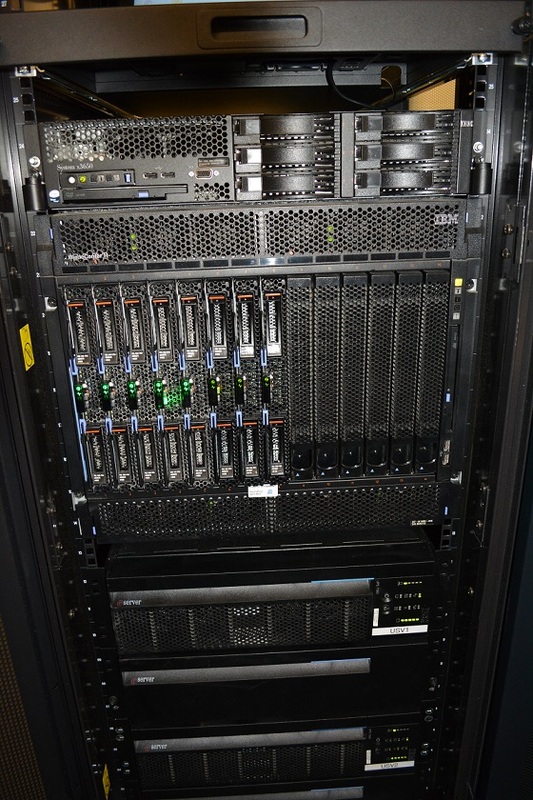 The productive InIT BladeCenter environment consists of 7 IBM HS 22 Blade systems, each with 192 GB RAM, 2 Xeon processors per system and are linked to a 8Gbit fiberoptic network storage switch. They are running on VMware vSphere v5.0 hypervisor software for virtualization and a are operated via vCenter v5 as management platform. 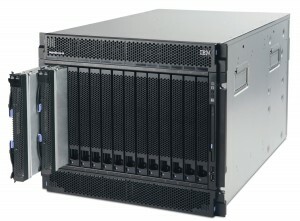 The productive environment has 3 IBM DS 3512 SAN storage units available, 2 x 12 TB storage space and 1 x 8.5 TB storage unit. 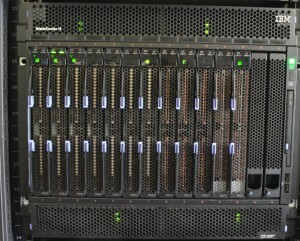 All SAN units are configured as RAID 6 storage systems, with 4 GB local memory and each with a hot-spare disk. The hosts systems have an additional storage server available that contains over 200 different ISO-software images (various operating systems and applications that can be attached during setup of a new virtual system or for installation of additional software during operation). All computing units are connected via 2 x 1Gbit network interfaces for operation of the virtual systems and 2 x 1 Gbit network links for backbone management and backup purposes. 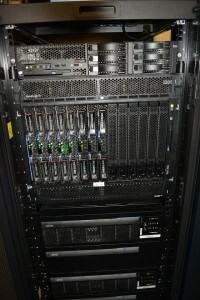 The InIT Blade infrastructure currently hosts over 250 active virtual systems and approx. 8 different templates that are used in various teaching courses, a project- and test-environments of for dedicated research projects. The templates allow the operators to deploy pre-configured Windows- and Linux-Servers within minutes. A dedicated backup-server is available for raw-backup of running virtual systems or for backup of individual virtual servers, based on user-requests. An agent-based version of the Acronis Backup software allows authorized users to run independent backups of full servers, databases or individual files, not requiring access to the underlaying VMware host systems. 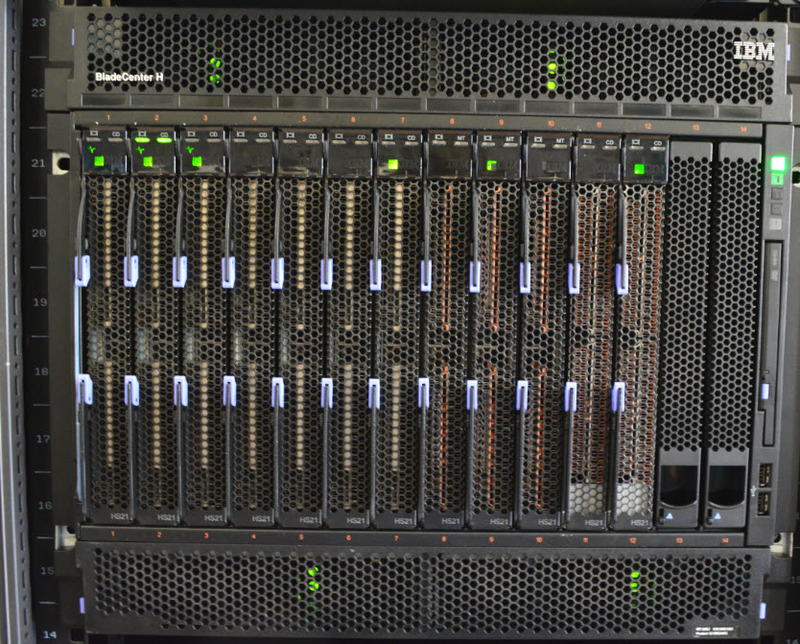 The InIT Blade Test-Lab consists of 10 x IBM HS21XM and 2 x IBM HS21 blade servers, each equipped with 2 Intel Xeon processors and 32 GB RAM. They share 2 SAN storage units IBM DS3400, each with 36 x 250 GB storage volume, organized in various LUNs for different exercises and training Labs. Connectivity and internet access is managed via a BladeCenter chassis and three 6-port 1Gbit Ethernet switches, while the SANs are attached via 4Gbit fiberoptic switches to allow a maximum of flexibilty and configuration options for different lab-tests. Software-Defined Networking (SDN) is an architecture for computer networking. 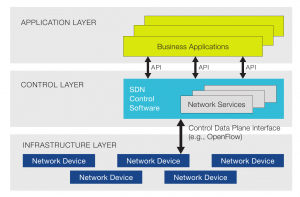 The overall key concept for SDN-based architecture is to define a control plane and a data plane. The control plane is represented as a server or appliance that takes the accountability for the communication between the business applications and the data plane. The data plane is represented by the network infrastructure where we don’t differ anymore between effective hardware and virtualized network devices. Thus, a control plane has to abstract the network for an administrator in both sides, the application and the infrastructure. Currently there exists one SDN specification and related implementations for the communication between the data plane and the business applications which is called OpenFlow. OpenFlow does neither specify how the control plane is technically implemented nor how the network infrastructure is build, it is responsible for the communication of them. The standardizing of the elements in SDN were made by the Open Network Foundation (ONF) which is a non-profit industry consortium, working in close collaboration with OpenFlow. This circumstance lead to the general opinion that OpenFlow is the equivalent to SDN and that there is no limitation in what technology can be used in a SDN-based infrastructure. All these points cover the problems that big datacentre’s currently have from the perspective of the network infrastructure. But what about the really small networks, for example a home-network. Does it make sense to separate the control and the data plane from each other if you have only one router/modem with 2 computers connected to it? The Answer is: Think big. Why do we have to manage the router/modem in the home-network by ourselves? In future times, this may be a task for the Internet Service Provider who is doing this today in some way anyways. The benefit for the ISP and the end-user is clear, less support tickets means happier end-users and a smaller support effort for the ISP itself.